MountainMama: 5 Things I'm Making This Fall....and Only Two More Days To Vote! As much as I have been loving experimenting once again with zucchini recipes (to deal with the MOUNTAIN of zucchini that is coming out of our gardens)....I'm kind of ready to move on to some fall flavors. The scent of apples, vanilla, pumpkin spice warming my home while I putter around, adding in fall touches....heaven. Can you even believe these amazing looking cookies? I think these might just be number one on my oh-my-goshI-have-to-make-these-immediately list. Not kidding, on my very first day off work, these have to happen. These were posted by Shelly over at Cookies & Cups and her description just makes me want to curl up with a plate of these cookies and some warm spiced cider! 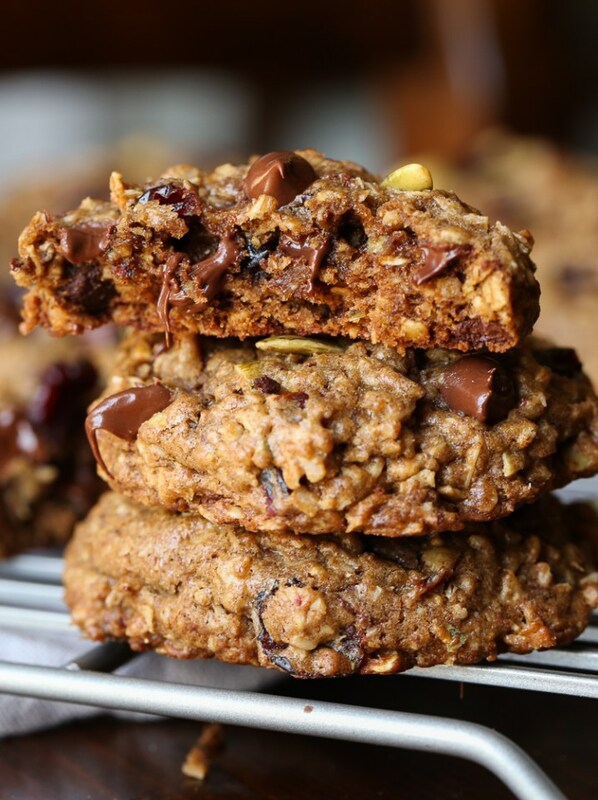 Autumn Spice Cookies are jam packed with oats, pumpkin seeds, chocolate chips, dried cranberries, and pumpkin spice! Fall in every bite! Deb over at Smitten Kitchen was one of the first food bloggers I discovered way back when, and I was hooked immediately. I have her first cookbook and cannot WAIT to get my hands on her new cookbook! It will be released at the end of October, and I pre-ordered a copy back in May as soon as the pre-order was available! These muffins popped up on her site the other day and my mouth started watering for one immediately. 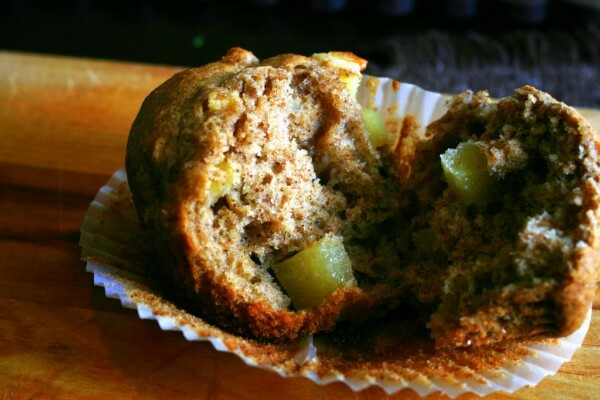 Whole wheat, cinnamon, brown sugar, apples...what could possibly be a better way to start a fall day? My friend Pattie over at Olla-Podrida often posts recipes that make me salivate immediately. This was in a recent post of hers, and I just had to pin it to add to my have-to-make-this-fall list! With the can't-fail combination of cinnamon, cloves, nutmeg, vanilla, and pumpkin I knew immediately that this would be a fantastic fall baking project. 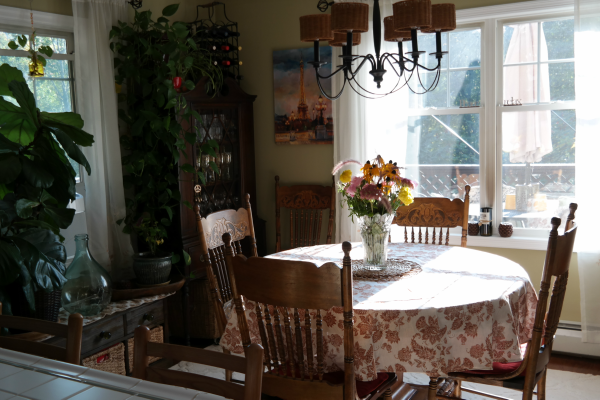 My blogging friend Debbie, who also blogs from a mountain top, not in NY like me but rather in The Blue Ridge Mountains in Virginia, is a serious foodie. She writes a blog called The Mountain Kitchen, and unlike me (who tends to blather on and on about who knows what), she writes about FOOD. Amazing, drool worthy recipe after incredible recipe. I have pinned many of my mountain sister's recipes, but since I'm on a fall baking kick right now, this is the one that's front and center on my radar at the moment. 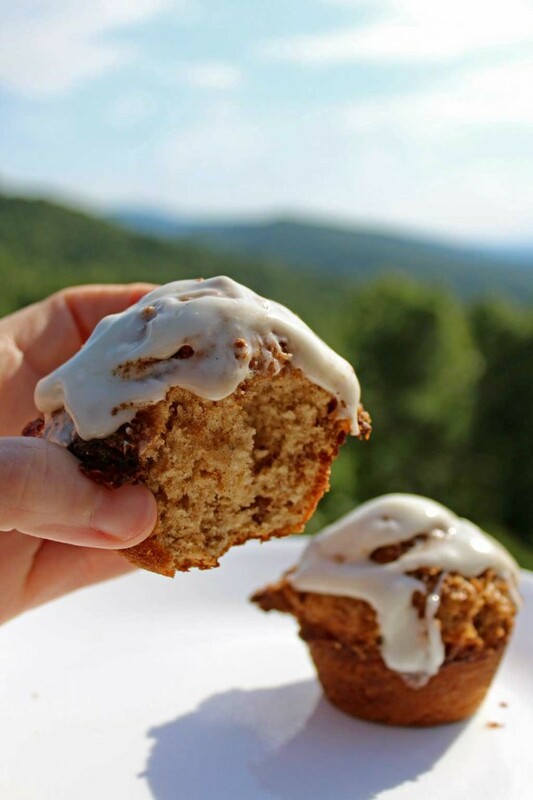 I mean, seriously, Cinnamon Roll Muffins? I think I might have died and gone to heaven. With these gooey, sweet muffins, you get all the cinnamony goodness of a cinnamon roll without the work. The muffins are swirled and topped with cinnamon, brown sugar and pecans and topped with a sweetened, vanilla, cream cheese frosting. So, yup, this has to happen. No doubt. Ok, let's face it, there's no way I'm going to let all my zucchini go to waste. So, a cake that marries zucchini and carrots with autumn spices, orange, and the sweetness of coconut cream cheese icing? Say hello to my new best friend! 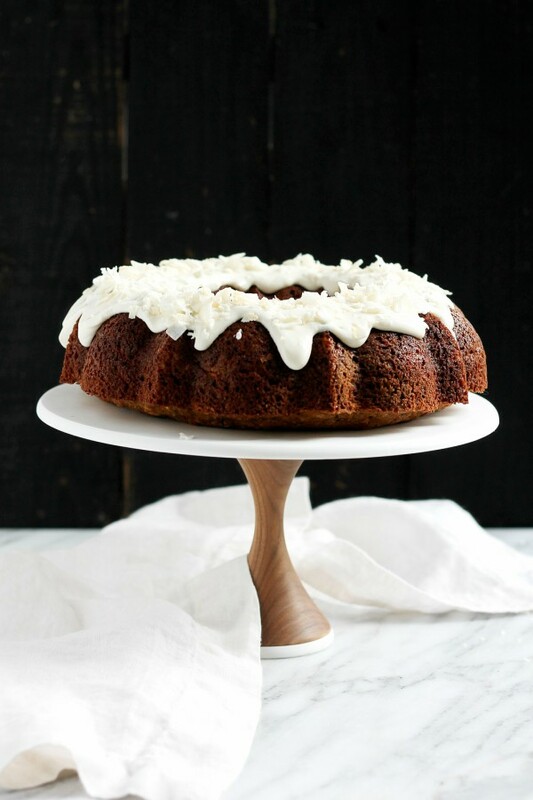 Monique over at Ambitious Kitchen posted a recipe for this incredible looking Orange Carrot Zucchini Cake with Coconut Cream Cheese Frosting that is just perfect to make at this time of the year. The combination of zucchini and carrots will keep the cake lovely and moist (while sneaking in a serving of vegetables) and seriously, are you kidding me with that coconut cream cheese frosting? I could eat a bowl of that with a spoon! So, there you have it.....clearly I plan on filling my house with the scents of cinnamon, nutmeg, and vanilla for the fall months. I can almost smell the heavenly aromas already! Combined with the scent of woodsmoke in the fall evenings, and the flicker of candlelight, that's heaven right there. Delicious looking choices! Now I'm hungry. I'd love to sit at your table with you and have coffee. I'll pretend. Same here, my friend! Last weekend was too busy for baking....perhaps this weekend I may get some done! I am sitting in a waiting room...waiting...and now drooling. Wow. They all look so good! I hope you didn't drool on the person sitting next to you, Kim! Thanks for the feature! Be sure to enjoy the loaf with pumpkin cream cheese, OR pumpkin spice butter (real butter made with cream!) coming to my blog soon. I voted for you. Good Luck!!! Thanks, Pattie! Pumpkin cream cheese sounds perfect!! You could freeze some, Melanie - that's what I often do with desserts, this way we aren't tempted to eat the whole lot! I'm still waiting for the gorgeous weather, Debbie - this weekend, I think. It's been hot and sticky for the past week or so, bizarre for September! I plan to make some homemade crock pot apple butter this Fall and also homemade caramel to gift for neighbors. We still have summer here but the pumpkin flavors of EVERYTHING have hit the shelves. Ive already told the husband to bring out the fall decorations. I think im ready! Same here, Lisa, I decorated last weekend! Oh my goodness, those photos of recipes you want to try are making me ready for fall baking. It does have to get a bit cooler though down here in s.e. FL. Oh I would certainly think so, Lorraine - I'm sure you don't want to put your oven on! I'm sure you could adapt some recipes by using gluten free flour but don't ask my how!! 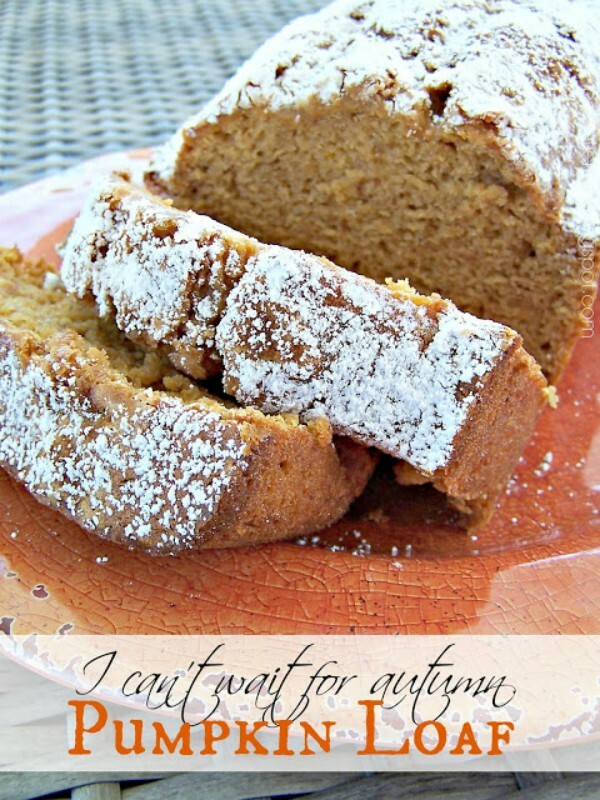 This is such a great round up of yummy Fall goodies! Thanks for doing all the leg work and for sharing these! 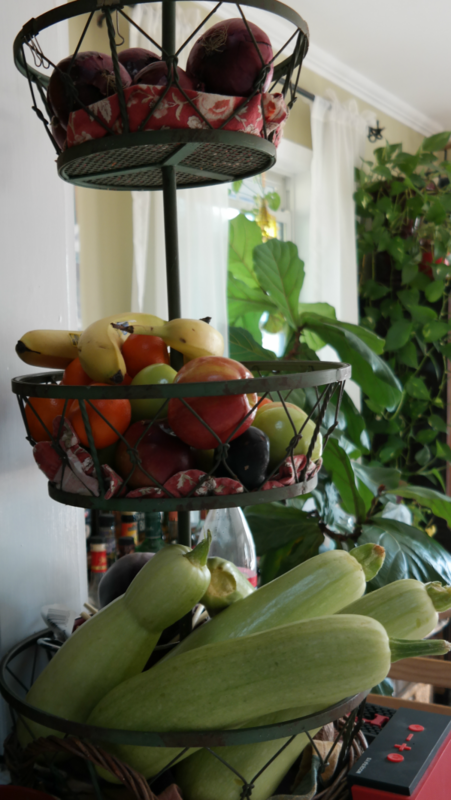 I sense another chocolate zucchini cake this weekend, AnnMarie - I have soooooooo many zucchinis to use up! Oh, I can almost smell it all! I love fall time. So do I, Lori! I love every season, honestly - I couldn't live somewhere with only one season! I do plan to check into some of these recipes. Love everything fall! I hope you love them, Jen! !